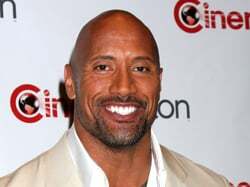 Said to be in talks earlier this year, Dwayne Johnson is now locked to star in director Brett Ratner’s Hercules, Deadline reports. The film will be co-produced between MGM and Paramount Pictures. The screenplay for the film version was written by Ryan Condol. MGM’s Roger Birnbaum, Gary Barber and Jonathan Glickman will produce with Peter Berg and his Film 44 partner Sarah Aubrey, as well as Barry Levine of Radical Pictures, whose Jesse Berger will executive produce. Johnson can soon be seen in theaters in Jon Chu’s G.I. Joe: Retaliation and Michael Bay’s Pain & Gain.